Millions of people around the country have experienced the benefits that come with buying a modular home or a system-built homes. We want more people to know about this unique type of building option. 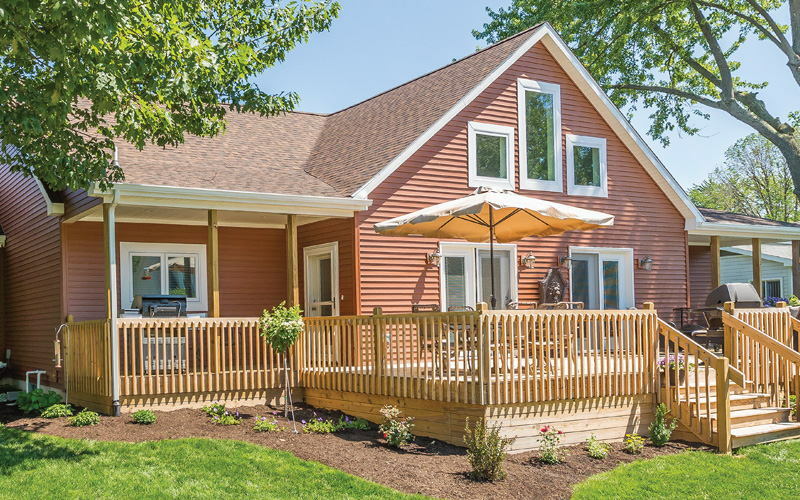 This guide provides you with the information you need to get started on the modular home building journey, and what to expect along the way. We build homes with Building Systems. Building Systems are simply a systematic approach to building homes. The term Building Systems refers to how the structure is built rather than the form that it actually ultimately takes. All of our modular homes are constructed using this method. Inside a modular home building facility, experienced craftsmen and women construct homes in what are termed as units, sections, or modules. Homes are built from the inside out, so to speak. First, floors are constructed. Then come the walls, doors, windows, cabinetry, plumbing, and electrical systems. At the end of the factory manufacturing process, the unit is approximately 80% complete and thoroughly inspected. All processes are documented and triple-checked for quality and consistency. Those units come together at the jobsite to create a fully functional and beautiful home. Modular units are typically 14 foot in width and can command over 60 feet in length. There are countless reasons to build a modular home instead of a home built on site, but many people are unaware of all the benefits. In fact, lots of people even have negative impressions of modular homes, assuming that they’re cheaply constructed or unattractive, even though the reality is far from that misconception. Modular homes are cost-efficient, environmentally responsible, and made of long-lasting materials. They are also attractive, with great curb appeal that contributes to future resale value. Modular homes are mass-produced, which means that manufacturers save costs by purchasing supplies in bulk. This doesn’t mean your home ends up looking like every other modular home, though! There are many design options that will fit your preferences and needs. The same manufacturing process that makes modular buildings less expensive is also the reason why these homes produce so little material waste. Fewer shipments of materials are required, as they are transported to their final location when they leave the factory. Your modular home is also extremely energy efficient, which saves you money as it protects the environment from unnecessary waste. Did you know that modular builders use some of the most long-lasting materials available? Additionally, when you buy a modular home, you know that you’re getting a brand new home, rather than buying an existing house that brings with it all the problems of age. In-house designers who are familiar with the ins and outs of modular design software can create countless customizations and specifications for your modular home, ultimately designing a home that reflects your vision. No matter what you’re going for--modern, sleek, classic, cozy, spacious, simple, or dramatic--there is a modular home that fits your design aesthetic. Homeownership is an excellent investment, and modular homes provide you with a way to get into a beautiful home at a lower cost than building on site or purchasing an existing home. 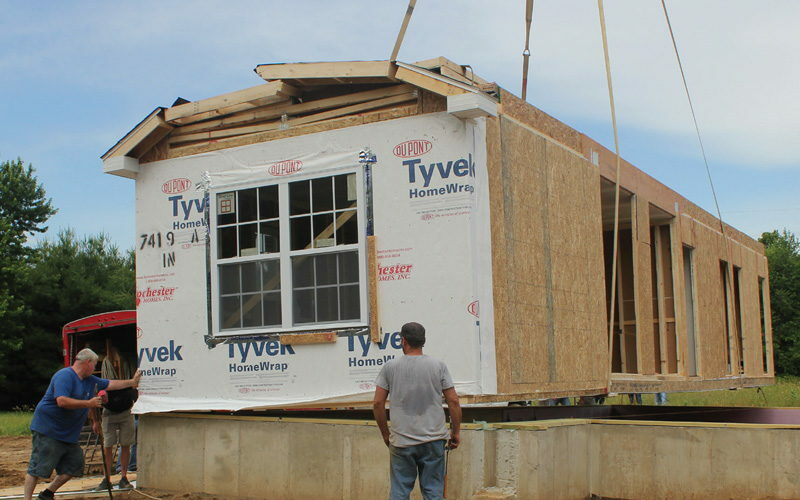 The process for building a modular home is pretty straightforward! Your builder will be your guide from start to finish. STEP 1: GET PRE-APPROVAL AND SET A BUDGET. During the pre-approval process, you will set a budget that will determine the rest of the building experience. This budget will help you make all of the decisions in steps 2-4. STEP 2: PREPARE THE LOT. If you already have a lot, you’ll need to get all the required land tests and site inspections. If you don’t have a lot, your builder can help you find a suitable plot of land. STEP 3: DESIGN YOUR DREAM HOME. Your builder’s engineering department will work with you to design the home you’ve been dreaming of within the budget you have available. You’ll be able to make all kinds of customizations and decisions before the plans go to a third party engineer for a double-check and approval. Once you’ve reviewed the final plans, you sign off on the design so that building can get started. Your loan financing will be secured through the lending institution of your choice, and once everything is set up, construction can begin immediately! The building process of a modular home typically takes 30-120 days from setting to occupancy. First, the bulk of the construction work is completed off-site, in the factory. Next, the home is shipped to your lot in specially-designed carriers. It arrives 70-90% complete. While your home is being completed, the initial site work gets underway, with everything from clearing the lot and digging the septic system to laying a foundation and grounding the electrical system. After the home arrives, it is set onto the foundation, and construction continues with mechanical installation and finishing touches. The last step is getting the whole structure inspected. STEP 5: SCHEDULE A FINAL WALK-THROUGH AND MOVE IN! Once the home is inspected, it will be ready for you to do a walk-through and officially move in! You’ll be occupying your new home in what feels like no time. You might be scratching your head thinking, "so, what does that mean, “The Builders’ Builder?” The answer is that when you purchase a home from Rochester, you are not actually purchasing a home directly from us. Your home contract is made with a local, independent builder who is authorized to sell and build homes produced by Rochester. Rochester works with your authorized independent builder in a seamless manner by performing needed construction phases simultaneously. Through the process of Building Systems, we can get you into your new home much faster than total onsite building. Rochester builds about 80% of your home, and the builder completes the rest on site. Because the majority of your home is built in our production facility, your builder is able to do many other things at the same time, such as obtaining permits, clearing your lot, installing the driveway, pouring the foundation, ordering utilities, etc. Once built and set on the foundation, your builder will complete all of your home’s finish work. This process usually takes between 30-120 days, depending on your home’s design and complexity. 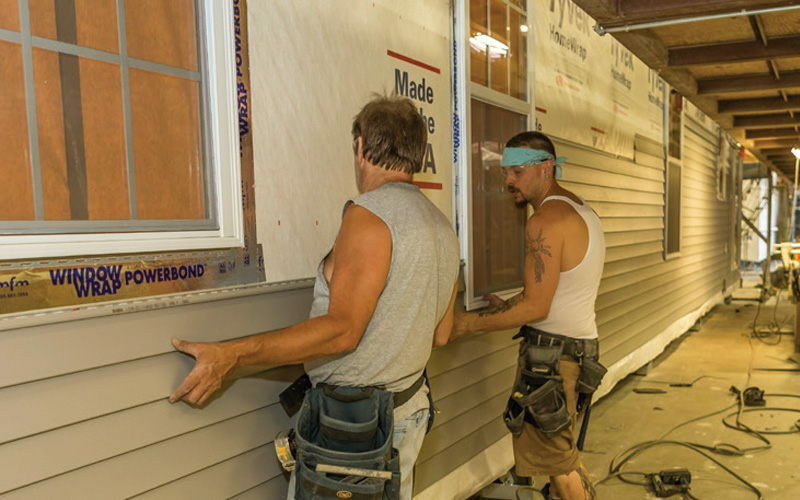 This finish work might include installing partial siding, roofing, flooring, or drywall, painting, landscaping, or building decks, garages, etc. This way of building homes is, by far, the most time- and cost-efficient way for you to get into your beautiful new home. After this, you'll need to work with a manufacturer. The first thing you should know is that no two modular manufacturers are alike. Just as with any other major purchasing decision you make, you have the option to choose between the great, the good, the average, and the not-so-good. Modular manufacturers vary from company to company in terms of ability, scope, professionalism, and performance. Some manufacturers can build over a thousand homes per year, while others build fewer than a dozen. Some specialize in providing a very customized product, while others are much more limited in their options and amenities. Most manufacturers are constrained in the geographic area of their market, and due to transportation costs, are limited to a 300-500 mile radius. Also, manufacturers typically have different series of homes that focus on various design applications. Most will offer various floor plans in ranch, cape and two-story configurations. When possible in choosing the right manufacturer for you, take an “apples to apples” approach. There is no “one” specification for all manufacturers. Each builds to a different standard specification. Some start with a bare-bones specification in order to provide the lowest cost possible, however you be charged to upgrade the spec a-la-carte by optional offerings to obtain specification that you want. Some manufacturers begin with a much higher standard but may have a higher up-front base cost. For example, some use 2x4 exterior walls while others use 2x6; some use high insulation values exceeding code requirements and others provide just enough to meet local codes. The list can go on and on! Once you have a comfort level with the “Nuts and Bolts” of the construction of your home, consider these tips in choosing the right manufacturer. Does the manufacturer’s website answer your questions? Are you able to access the floor plans, photographs, and options that satisfy your needs? Are they transparent? Do they engage in social media? Are you getting the information that you need to come to a decision? Consult friends, neighbors, and the Better Business Bureau. Pose questions to online discussion groups and look at Facebook for what customers are saying. Keep in mind that you are never going to get all thumbs up or five stars. Take comments with a grain of salt. People are more likely to complain than give compliments, especially online! How long have they been building homes? Ask specifically how long they have been building modular homes, not RV’s or mobile homes. You probably want to find a company that has been around longer, because they have their systems and production techniques down pat. There is no such thing as a perfect house. Some challenges can be expected. Ask for information about the manufacturer’s warranty on the home, as well as their responsibilities after you acquire it. Morale can be a significant factor. What is the feeling when you visit the plant and office? Ask questions like: “What is it like to work here?” While you are in the plant pay attention to the attitude of the workers on the line. Observe whether they go about their work with competence, skill, and vigor, or if it appears to be drudgery to them? The latter can be symptomatic of larger problems in the workforce that could result in inattention and a poor workmanship. For most consumers, it is important to conserve resources and save money at the same time. Most all modular homes are intrinsically energy efficient by the manner in which they are constructed. Manufacturers tend to be very resourceful in their material usage when compared to site building. Does the manufacturer go the extra mile and have energy efficient options? Are their things that could be done on the jobsite that your builder can perform to maximize energy efficiency? If you come to the manufacturer with your own plan, will they attempt to make it work or will they try persuade you into choosing a off the shelf stock plan? Can you attain the degree of customization and detail that you expect? Is the company listening to your needs and responding with respect and enthusiasm? Take advantage of touring the plant. The experience can be very worthwhile and informative. You will not only be able to compare the manufacturer specifications, but you will also get a feel for the attitude of the company and the kind of quality put into each home. Ask a lot of questions and ask to speak to some of the factory workers. If you are able, bring along a trusted building professional for added expertise and input. What happens before your home arrives on your lot? How much of the house is complete on arrival? What do you need to do to prepare your lot for building? Before anything is built, you will work with your manufacturer’s design team to develop your specific design. This will include the basic model of the home, as well as elements like siding, windows, and doors. You will sign off on the designs only after they have been reviewed by a third party engineer. is organized, efficient and detailed. Due to the fact that the homes are constructed by highly trained professionals, much time is saved, not to mention the fact that waste and costly errors are practically eliminated. Homes are built to all applicable local, state, and national codes and are consistently inspected for quality. The modular building process is organized, efficient, and detailed. New homes are constructed in the factory by experienced professionals who care about creating an excellent finished product. There is little waste of materials or time in this kind of manufacturing, and your home arrives on the lot somewhere between 80 and 90% complete. Homes are built to all applicable local, state, and federal codes. During the manufacturing process in the factory, your lot is going to be prepared for the home’s arrival. 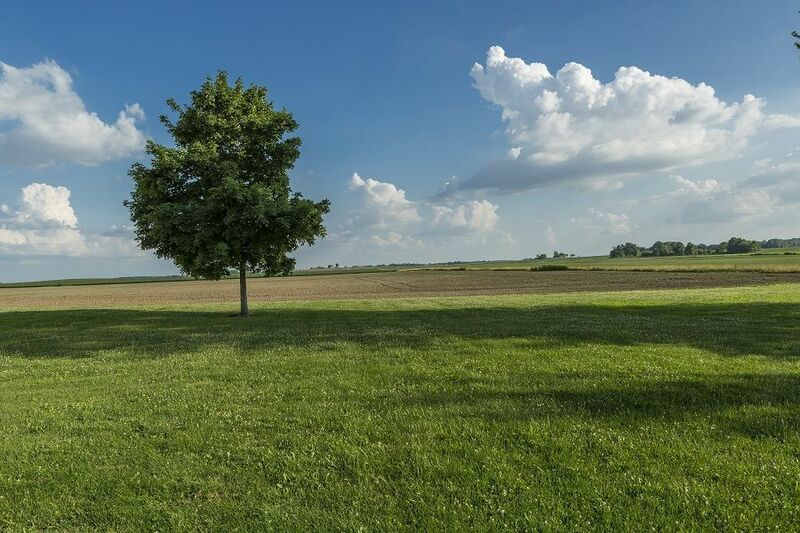 Lot clearing, laying the foundation, digging and installing the septic system, and connecting the lot to the electrical grid are some of the main tasks that will occur before your house ever appears on the lot. This happens simultaneously with the manufacture of the house itself, which is one of the reasons why modular homes take less time to build. What amenities are important now, and what can you wait to get later? Does the house’s square footage meet both my current needs and the future needs of my family? When you work with your manufacturer, you will find out about all the little specifications and design details you get to choose for your modular home. Choosing where to place your modular home can be a challenging decision. You have a lot of factors to consider. Some of these factors are familiar to any home shopper, regardless of whether they’re going with a modular home, a home built on site, or an existing house: how far is your commute to work, what school district do you want to be in, and what is the character of the neighborhood? Modular home buyers must also take into consideration things like local ordinances and zoning policies. Are modular buildings allowed in the neighborhood you want to build? If so, consider the risks and unknowns that accompany the purchase of any lot. If you can work with an experienced contractor who understands excavation, that can be really helpful. 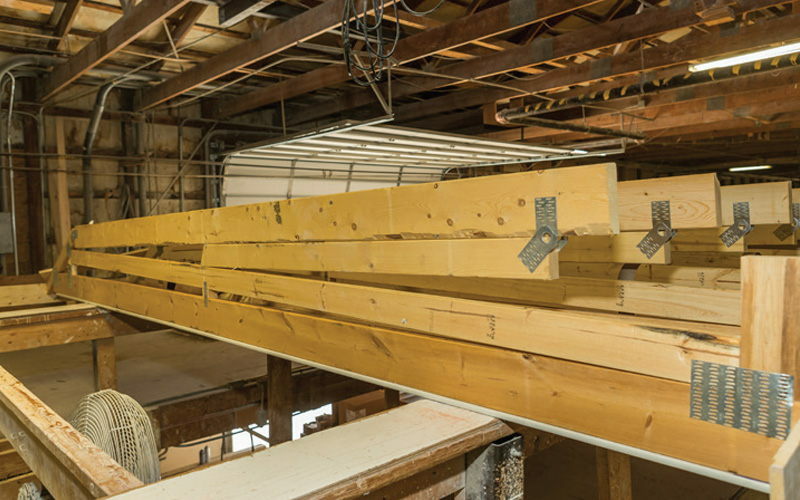 Your contractor can identify any potential physical challenges that could arise when building. Contractors can also talk about how much grading the lot will require, whether or not you’ll need fill dirt, and what will happen if the excavator hits rock during the building process. It’s always prudent to overestimate the cost and amount of time needed for site preparation work rather than counting on the lowest cost and quickest outcome. When you purchase a home built by Rochester, you actually are not purchasing a home directly from us. Your home contract is made with a local independent builder that is authorized to sell and build homes produced by Rochester. Rochester works with your authorized independent builder in a seamless manner by performing needed construction phases simultaneously. Through the process of Building Systems, we can get you into your new home much faster than total onsite building. Rochester builds about 80% of your home, and the builder completes the rest onsite. Because the majority of your home is built in our state of the art production facility, your builder is able to do many other things at the same time. This includes getting permits, clearing your lot, installing the driveway, pouring the foundation, ordering utilities, and more, all while your home is being built in a state-of-the-art production facility. Your builder will also complete all finish work after your home is set on the foundation. This will take anywhere between 30-120 days, depending on your home’s design and complexity. These things might include partial siding, roofing, flooring, drywall, painting, landscaping, and the building of decks and garage. Even though a modular home is built very differently from a traditionally built home, the financing process is actually quite similar. Because modular homes should conform to the International Residential Code (IRC), banks and lenders do not differentiate between the types of loans that finance modular homes. Your financing source will review your modular home in the same way they would review traditional, built on site homes. From a lending perspective, the only difference between modular and built on site homes is where the pieces are assembled, and that does not play a part in the loan process. 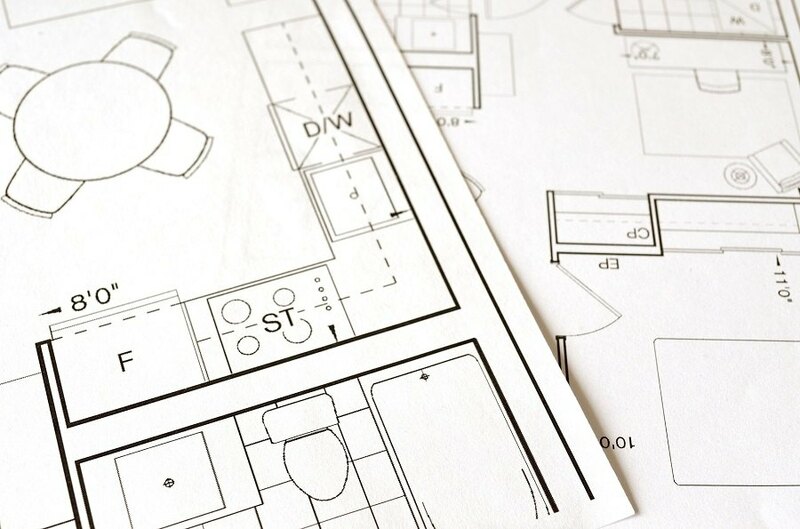 During the pre-approval and budgeting process, your builder can help you understand any relevant building codes, appraisals, and financing options. Local builders don’t typically offer in-house financing, so you will need to work with a local bank or mortgage lender. Every modular home manufacturer provides a slightly different warranty. Rochester Homes provides two distinct warranties: the one year warranty and the ten year warranty. One year warranty: For a period of one year, starting either 30 days after your home is set on its foundation or 90 days after it leaves the production line (whichever comes first), Rochester Homes will repair or replace any materials in your home found to be defective either in material or workmanship. The decision to repair or replace these parts is solely that of Rochester Homes. Because designs change, it may be necessary to replace failing components with different ones of equal quality. Ten year warranty: For a period of ten years, starting either 30 days after your home is set on its foundation or 90 days after it leaves the production line (whichever comes first), Rochester Homes will warrant your home against structural failure. This warranty covers any structural defects or failures with the floor truss, framing components and roof rafters. Also not covered is damage caused by misuse/abuse, non-factory set-up issues, lack of proper maintenance, improper repairs by someone other than Rochester Homes, improper site preparation or drainage issues. Further excluded are deterioration, wear, damage caused by acts of God (winds, floods, high humidity), moisture intrusion or mold growth. One of the biggest reasons that home buyers choose a modular home is that it can be done so efficiently that the whole process takes a lot less time. Modular homes are a great idea for saving both time and money. Your home is scheduled for production after you have done the following: selected and approved a floor plan; gotten a loan approved; and signed all contracts. Depending on the square footage and individual complexity of your home, it will take anywhere from a week to two for it to be built inside the production facility. Generally, homes come anywhere from 70%-90% complete after they arrive at the job site. Time needed to complete onsite typically ranges between 30 and 120 days, dependent on your design. While your home is being manufactured in the production facility, many other activities are going on at the job site, including lot clearing, excavation, foundation work, and utilities work. This is why the process is so much faster than a traditional onsite home! There are fewer opportunities for disruption due to weather conditions because the majority of construction takes place in a climate-controlled facility. In addition, on the very day that your home is set on the foundation, it is officially under roof. This means that you can save money on the construction interest, too. Another thing that will keep your build on time is that you don’t have to deal with subcontractors’ delays. 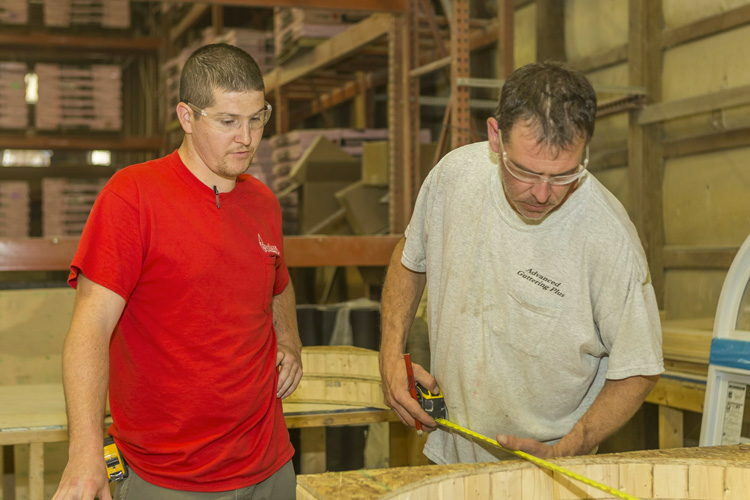 The workers who manufacture your home in the production facility aren’t affected by weather or scheduling delays, which leads to more efficient build times. Rochester Homes is the premier manufacturer of modular homes. Our legacy as a company dates back to 1972, and from day one, we have chosen to abide by our key theme: People first! We know the modular industry inside and out. 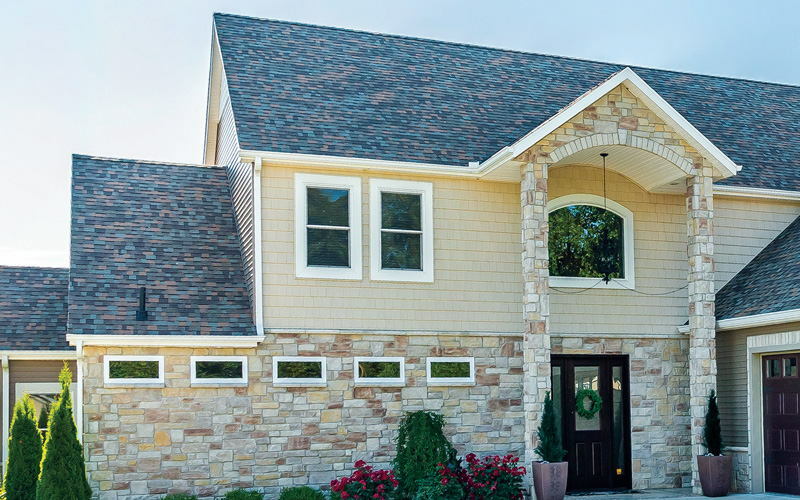 Together with our certified independent builders, we do everything we can to make the process of designing, building, and moving into your ideal home as straightforward as it can possibly be. In addition, we only use the highest quality materials to implement all of your design preferences and decisions. You can download our brochure to look at our beautiful standard options and some of our customizable features. Contact us today to set an appointment to discuss your options! 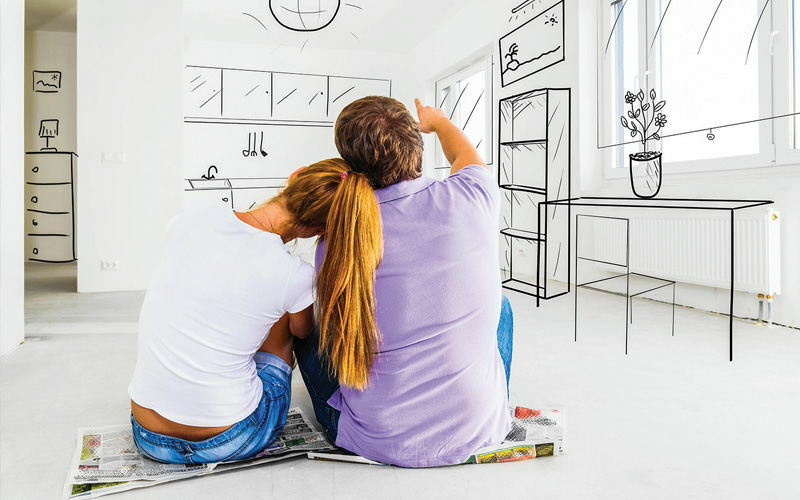 You could be moved into your brand new, full customized home sooner than you realize! Click here to download our free modular home brochures.